It seemed as if we hadn't been there in a long time. So when my daughter invited us to come for lunch, we began envisioning (and tasting) the seafood even before the Pres' echo-cardiogram was completed. In fact, he was licking his chops while lying on the table!! Besides, the Pres had taken the day off for his test and I needed a day of rest from yard work so we were more than taken with the invitation. 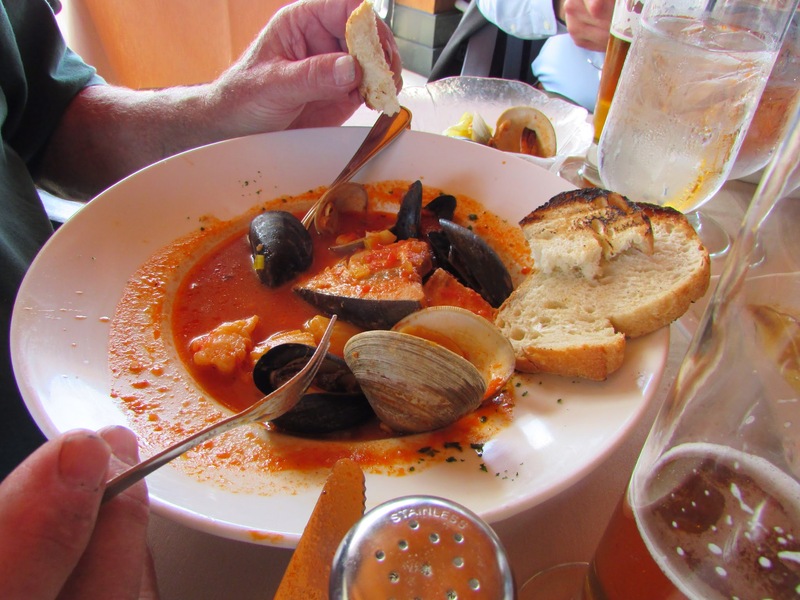 Thank goodness, Angel was able to leave work and meet us at Atlantic Beach Club so he, too, could enjoy lunch..Bouillabaisse just like the Pres! After lunch, I was expecting to head home. 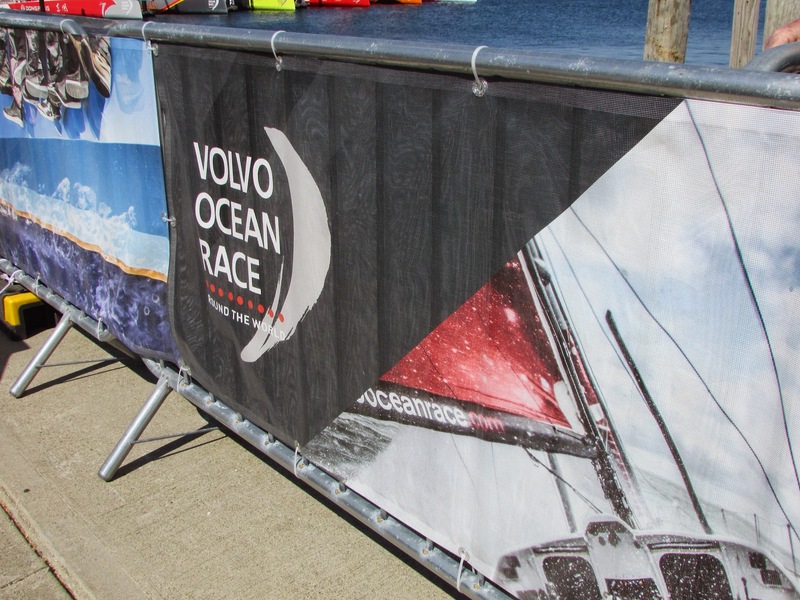 However, my daughter suggested that we check out the boats from the Volvo Ocean Race 2014-2015, a nine month race, since the six contenders had just docked in Newport the day before. Since I get seasick, I cannot even imagine being at sea for nine months. However abiding by the rules and traveling the seas together, they all keep an eye on each other in case help is needed. 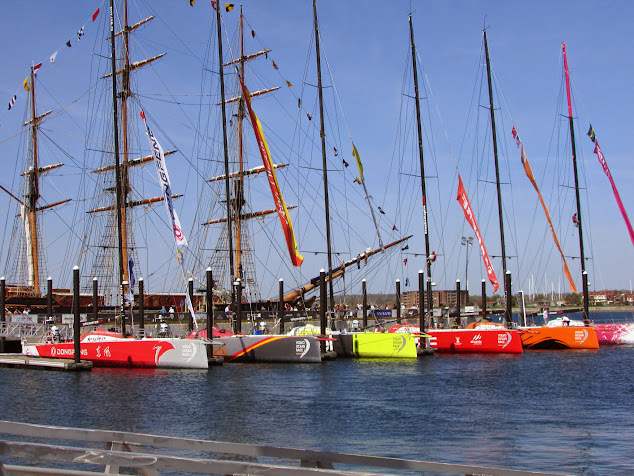 In fact, one of the vessels ran into trouble and another had to use their motor to help tow them in to the harbor. The event can be viewed live as each boat has it's own communication's expert. glad you had a nice lunch escape! you certainly had a beautiful day out, even with the doc visit the reason. good food, great company and camera ops everywhere. So glad you day was fun and with yummy food too. A nice break for you and your hubby! Have a great day! Your shot of the boats is absolutely stunning!!! And the fish looks so good. What a super day. I would have been in heaven. Sea food and boats bobbing on the water....I need to lay down just thinking about it. 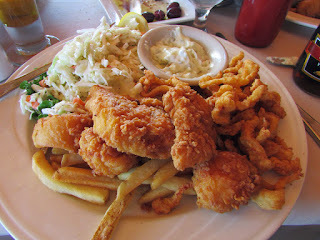 I want one of those fisherman's platters. That looks so good. My idea of heaven - a fishy lunch and a wander round a harbour.